This was one of several Special Series packages offered around the world. It was only available on the Taiwan-spec 735iL Facelift. The rest of the interior was N6DL. 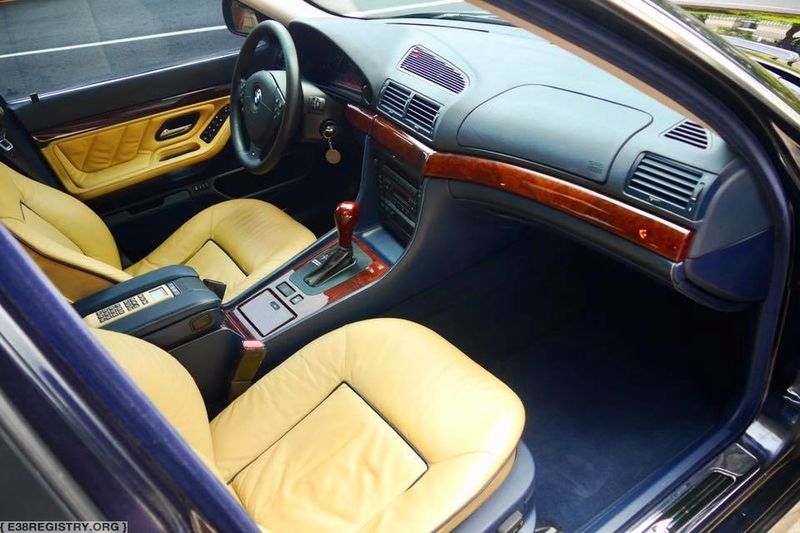 12 E38s were produced with this package and upholstery (N9/P1), through BMW Individual. † – Alpina B12 stats are also included under their respective 750i/750iL codes, and may be innacurate due to Alpina-specific production alterations not reflected on the original BMW build sheets. ‡ – Individual data for armored vehicles is not usually available, as BMW vigorously guards the details and privacy of the original owners. The same applies to pre-production, press vehicles, and VIP-ordered E38s (such as the ones used by Buckingham Palace). Steppzwirn in champagner, wie Serie. Sewing thread navy blue (8 174 130), code 3666 J.
Quilting yarn champagne (2 237 192), code 0671 Z.
with stitching in sandbeige (2 237 192), code 0671 Z.